Former Newcastle, Tottenham and England midfielder Paul Gascoigne was warned by a judge yesterday that he may be facing a prison sentence after his latest altercation with the police over drink-related offences. 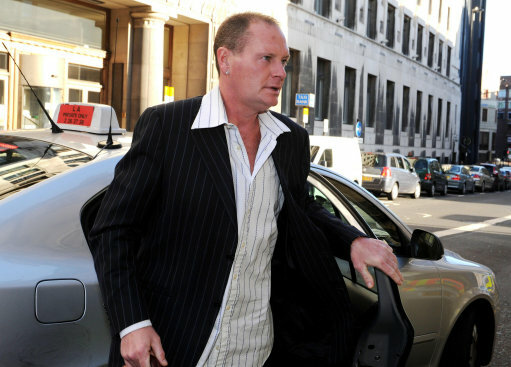 During a short hearing at Newcastle Magistrates’ Court, Gascoigne admitted to driving whilst more than four times over the legal limit. District Judge Stephen Erl was told that 43-year-old Gascoigne had 142mg (the legal limit is 35mg) of alcohol in 100ml of breath when he was stopped by police in the Jesmond area of Newcastle on October 8th. Erl is now set to sentence Gazza on November 11th, admitting that ‘all options up to and including a custodial sentence’ would be explored.